The Comics Alternative is happy to feature a brand new monthly series, this one devoted to comics and graphic novels for young readers. The cohosts for this show are Gwen Tarbox and Andy Wolverton. Longtime listeners of the podcast will know that Andy is an old hand at cohosting duties, filling in for Andy Kunka occasionally and, up until recently, being the cohost on the monthly webcomics series. (In fact, Andy left the webcomics show so that he could pursue this new idea.) Gwen is a professor of children’s and young adult narrative, especially as it applies to comics. This is her first time cohosting a podcast, and everyone at The Comics Alternative is excited about having her on the team. Now, every month Gwen and Andy will look at two recent comics written for a young audience, one for teenage or young adult readers and another title devoted to younger children. For their inaugural episode of Two PhDs Talking About Comics for Young Readers, discuss recent developments in comics for children and teenagers, and they reference Raising a Reader! How Comics and Graphic Novels Can Help Your Kids Love To Read! This resource, written by Dr. Meryl Jaffe and illustrated by Raina Telgemeier and Matthew Holm, provides parents and educators with advice on how to share comics with children. (A shorter version of this text is available on the Comic Book Legal Defense Fund’s website.) 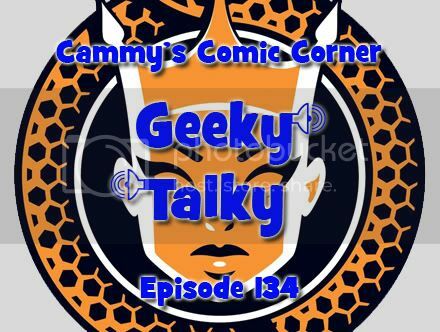 Gwen and Andy also talk about connecting kids with comics, beginning with an exploration of recommended comics lists put out by the Eisner Awards committee and the Young Adult Library Services Association (YALSA). For the last few years, the Eisner Awards have included categories for early readers, kids, and teens, and YALSA, a part of the American Library Association, publishes lists of recommended graphic novels for middle grade and high school readers. During the review section of the program, Andy and Gwen discuss Baba Yaga’s Assistant by Marika McCool and Emily Carroll (Candlewick Press). Both are impressed by the depiction of Masha, a young woman who comes to terms with changes in her family life and learns to stand up for herself by matching wits with Baba Yaga, a character who walks off of the pages of Slavic folklore and into Masha’s life. Gwen and Andy discuss the text’s effective use of flashbacks and embedded narratives, and praise Carroll’s use of color to evoke mood and to signal shifts between past and present. Next, they talk about the semi-autobiographical graphic novel Sunny Side Up (Graphix), written by Jennifer Holm and with art by Matthew Holm, the sister/brother team behind such popular children’s comics series as Babymouse and Squish. Noting that Sunny Side Up contains much to interest both adult and child readers, they focus on the way that the Holms capture many features of life in the 1970s while telling a story with contemporary relevance about the impact of substance abuse on a close-knit family. Although the text deals with serious subject matter, the Holms employ a gentle humor and a relatable child protagonist who, like Masha in Baba Yaga’s Assistant, learns to confront her fears and to turn a summer long visit with her grandfather into a journey of discovery. Parents will enjoy the many references to 1970s popular culture, and kids will learn about the transformative power of comics in the lives of Sunny and her friend Buzz. All in all, both Gwen and Andy bring their rich experiences — she as an instructor and he as a librarian — into their analyses, and this first show is just a small taste of many insights and recommendations to come. This is a must-listen podcast series for every teacher, librarian, parent, and reader of comics intended for younger audiences.